I continued to pound on his back, struggling but he ignored my feeble attempts, simply annoyed “Your just making yourself worse, quit it.” He grumbled, his grip on me tightened on me. “I change it every century.” I’m stunned at this news. “Of course, if I’d been any younger, your punch would have killed me.” He growled. 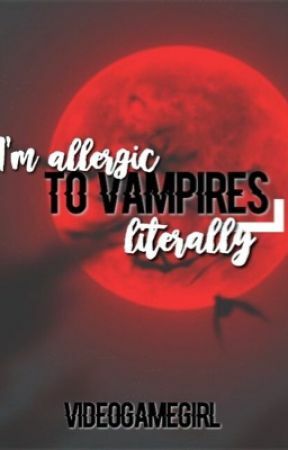 “Why didn’t you just find another changeling?” I hissed, arms crossed, my wrist still in bad shape, my skin still unable to heal without vampire blood. “Don’t call me that, if you must call me something, call me sally.” I grumbled. “Alright, I will.” He said quietly and the conversation ended from there. I simply enjoyed this moment of peace until he set me down on my feet and snapped the bones in my wrist back in place. “We’re here.” Before me was an enormous ruined mansion covered in ivy, vines littered its front, the windows in shambles, the road simply dirt leading to where I thought was north. “You live in this rust bucket of a house?” I commented. “You haven’t been inside.” He explained and just as he walked past me, I bolted, running straight into an invisible wall. I groaned in pain and he laughed at me. I cursed the world about changelings and such as he picked me up off the ground, kissing my hand. “Darling, you are truly a stubborn creature.” He stated. “Shut up…don’t sweet talk me…” I grumbled. “Oh…well It’s not like I have had the chance the shower….” I said, embarrassed. “What?” I said as I followed him inside, my mouth falling open, the interior beautiful in every way, red carpet covered the impeccable marble floor. Gold painted walls made the room sparkle from the light-giving crystal chandelier. I observed the elegant wooden staircase, it curved in such a way, it must have taken decades to shape it.